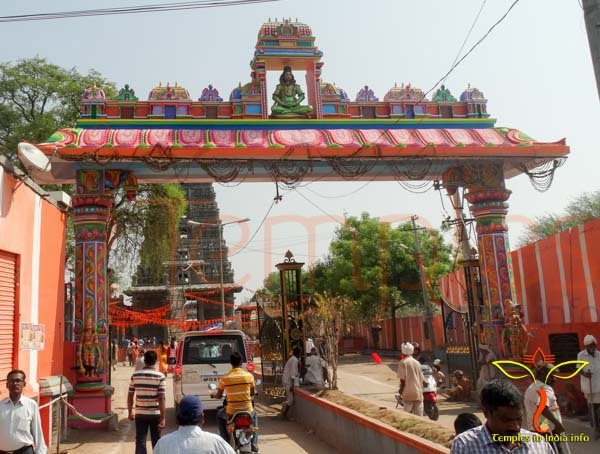 The Karmanghat Hanuman Temple also known as the Dhyan Anjaneya swamy temple built in 1143 AD by the Kakatiya king, Pratapudra II is one of the ancient temples located in Karmaghat near Sagar ring road in Ranga reddy district. 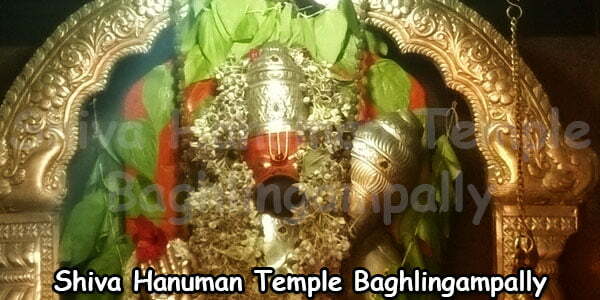 The temple has the idol of Sri Hanuman in the meditation posture, a posture rarely found in other temples. 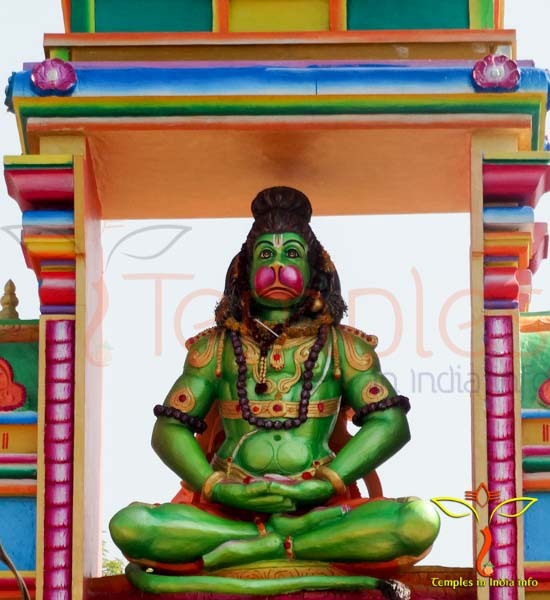 As the idol is in the Dhyan Mudra, the temple is popularly known as the Dhyan Anjaneya Swamy temple as Anjaneya is also a common name of Hanuman. There are some interesting legends in the wake of the construction of the temple at this place. 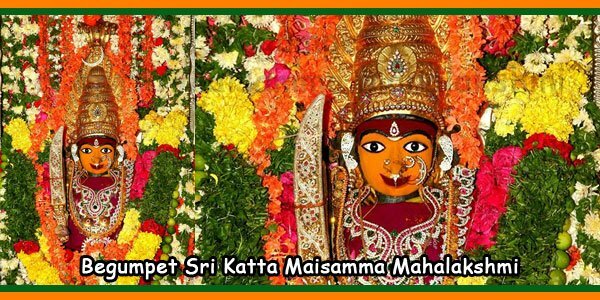 It is said that once when Kakatiya King, Pratapudra II went hunting to the forest and had lost his way, he heard the chanting of ‘Sri Ram’ there. Surprised by the chanting, he went deeper into the forest to learn the source of the chants. He finally found that the chanting of Sri Rama was coming from the idol of Hanuman in the meditation posture that the king found in the forest. The king showed his respects there and somehow could manage to find his way back. Later at night, the king dreamt that Lord Rama was instructing him to build a temple in the forest at the same place where he had found the idol. The king immediately took to constructing the temple. The completion was faster with the king’s interference. 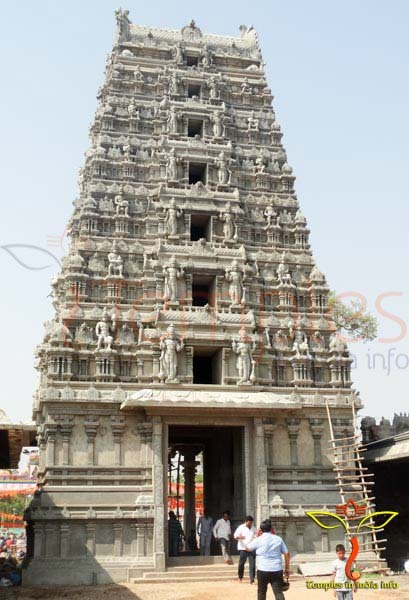 The later Kakatiya kings added the shrines around the main temple dedicating to Lord Rama, Maa Durga, Maa Saraswati, Jagannatha, Nageshwara, Lord Shiva, Vigneshwara, Venugopala Swamy, and the Navagrahas etc. There is also a legend that when Aurangzeb had tried to destroy the temple, he could not. 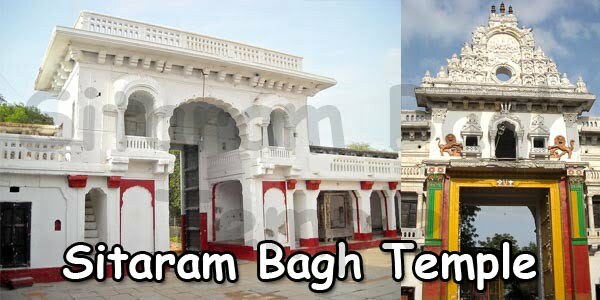 On his trying to enter, he heard a voice ‘If you want to enter the temple, you must make your heart stronger (kar-man-ghat)’, hence the name of the temple. Finally Aurangzeb had to retreat without any harm done to the temple. 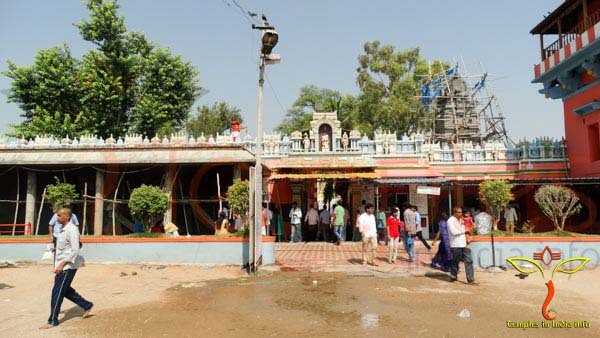 It is believed that the temple is indestructible. Neither Aurangzeb nor the natural calamities over years could do any damage to the temple. The devotees come here in good faith. Many believe that continuous worship for 40 days cures one of any illness that he has. 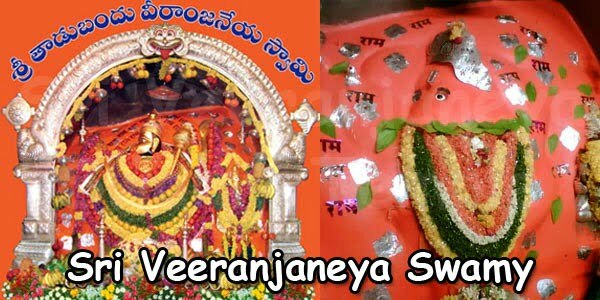 It is also believed that women pray to Dhyan Anjaneya for the health of their children. Pregnant ladies also pray to have healthy children at birth. 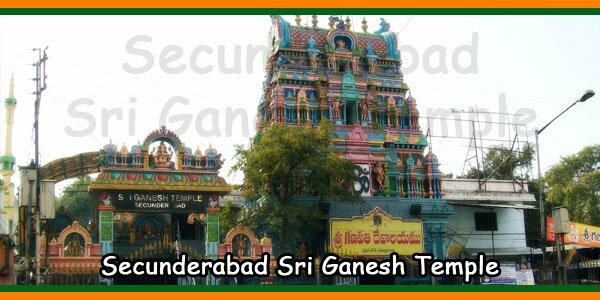 The temple spreads over 3 acres of land and is an East facing temple whereas temples are generally north facing. Painted in the colour characterizing its lord i.e. 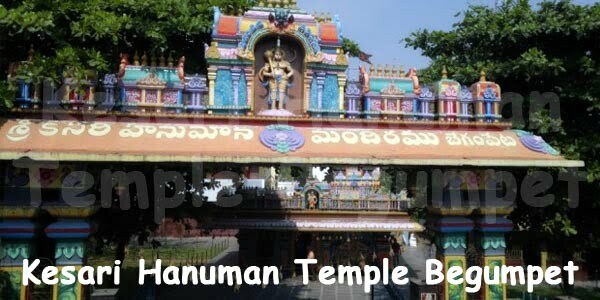 vermillion, this temple draws believers and followers of Sri Hanuman from all over the world. Devotees take a dip in the pond in the complex itself before proceeding to offer their prayers. 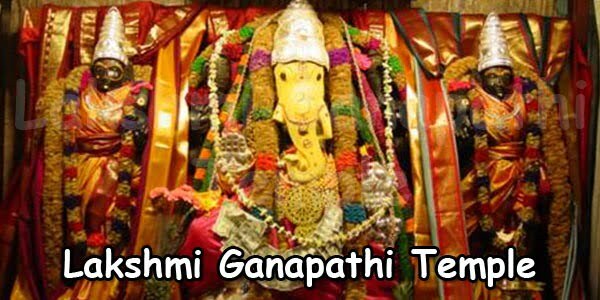 The temple gets overcrowded on occasions like the Hanuman Jayanti and Shivratri. For a mere amount of Rs. 10, the devotees get Prasad like Laddu, Vada, Pulihara etc. The easy access and firm belief in the temple makes the temple more popular amongst the followers. From Secunderabad – 90L2, 8A-158M-104R, 40-277, 40-104R, 104J, etc. 6:00 AM to 12:00 Noon and 4:00 PM to 8:00 PM on all days.